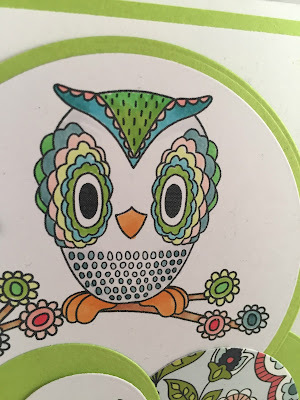 Craftily Yours: Be Artzy - Anything Goes! There's a new challenge at Dare 2B Artzy. It's an anything goes challenge. Anything! So easy. Join us! 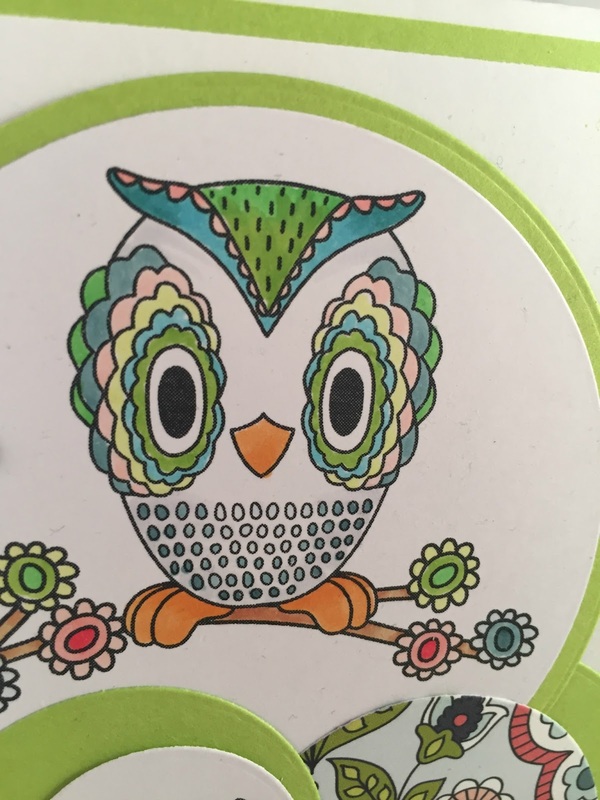 The stamps I used today are from the Dare 2B Artzy Hoot Hoot set. The wee bit of patterned paper I used on this card is from the In Bloom Collection. Thanks for stopping by....and do join our challenge! 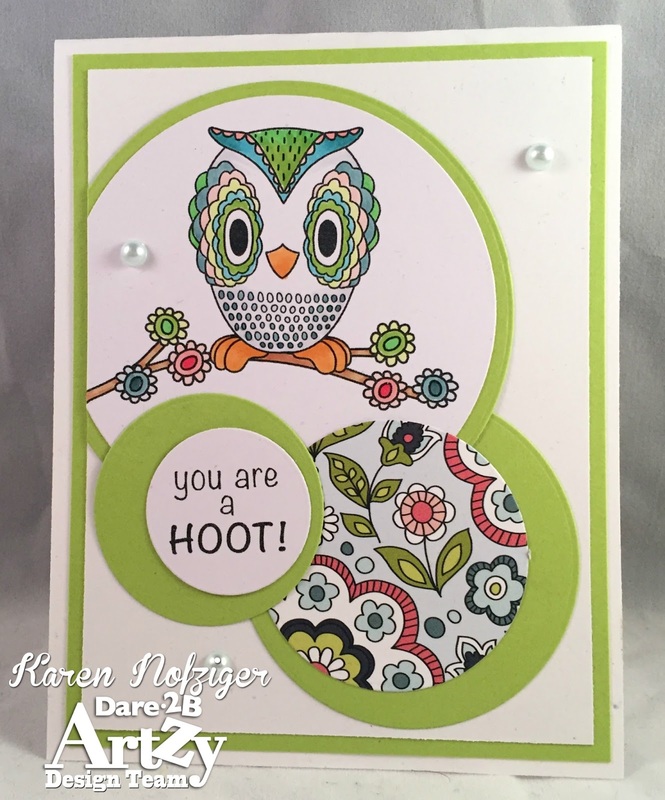 Awesome card... love the colors!